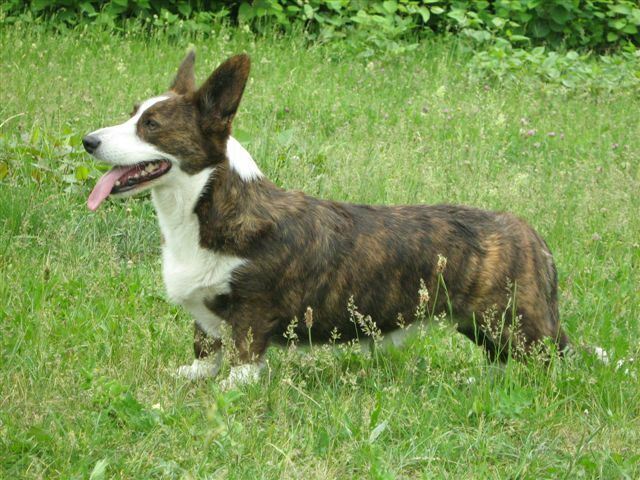 The Cardigan Welsh Corgi has a very unique profile. 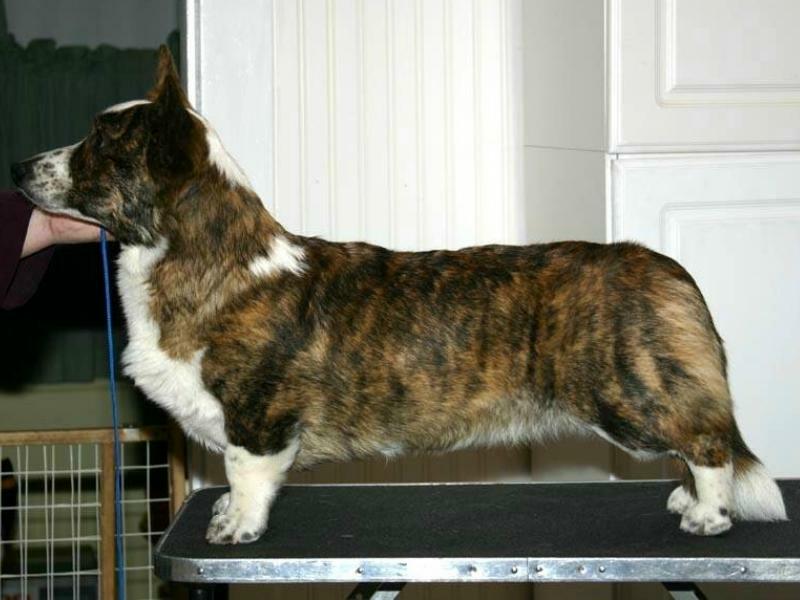 Long and low, this breed has short legs and a long middle. The ears are very large for the size of the dog, and they stand erect, like two radar dishes sweeping the area. It’s easy to imagine this dog running happily through tall grass, all but disappearing from view save for those two inquisitive ears. 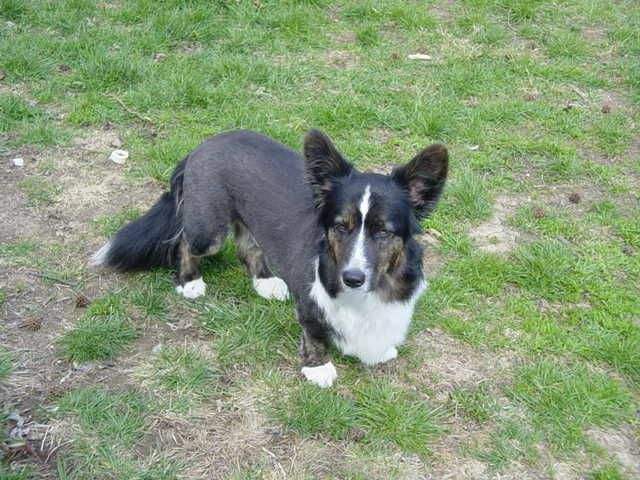 The Cardigan Welsh Corgi’s tail is thick and bushy. The head is broad between the two large ears and tapers quickly. 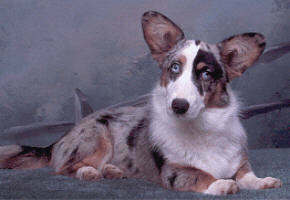 Their coat is medium-length and quite dense, and it comes in all shades of blue merle, red, brindle, black, or sable. It’s pretty typical to have a splash of white on the chest, neck, underbelly, legs, head, muzzle, or tip of the tail. Their eyes are dark or blue, although those distinctive baby blue eyes are only seen in dogs with a blue merle coat. 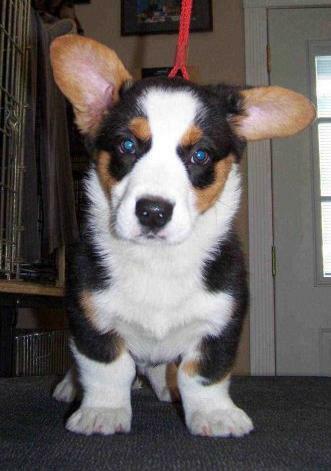 Cardigan Welsh Corgis are incredibly smart and surprisingly fast with a healthy dose of stamina. Personable and dedicated to family, these adorable dogs are an energetic joy to have around the house. 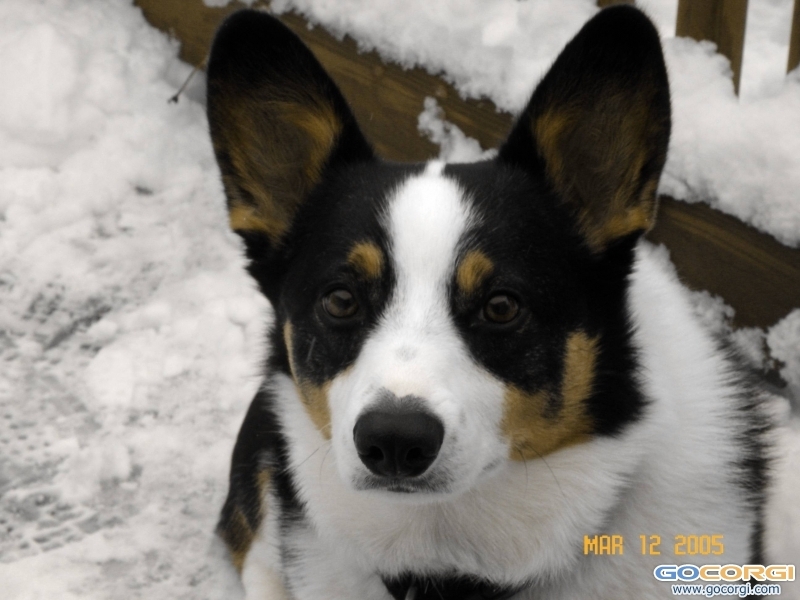 The Cardigan Welsh Corgi dog is bursting with fun ideas for the whole family. They are herding dogs by trade, and bonding with the family is really important to them. 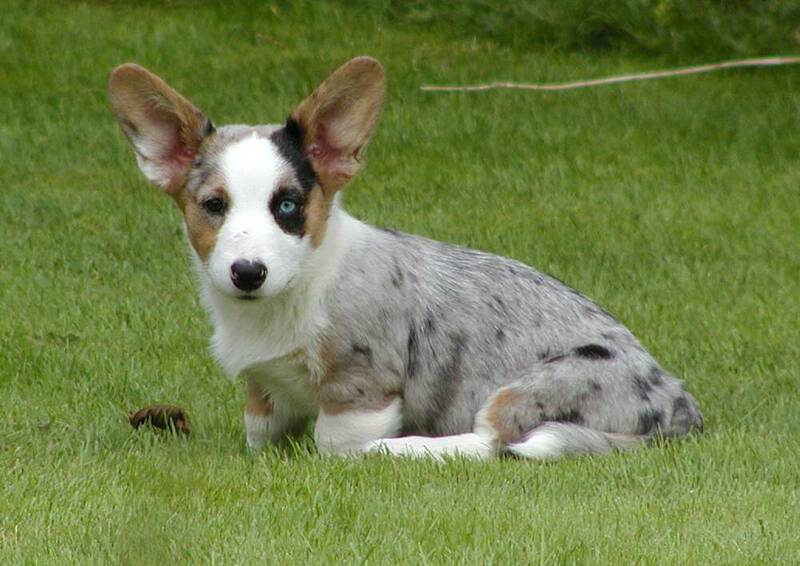 Cardigan Welsh Corgi puppies become exceptionally affectionate and dedicated adults. They are always looking out for their people, and they will sometimes herd children! Unfortunately, such herding can involve chasing and nipping at their heels, but this can be trained out of Corgis quite easily. 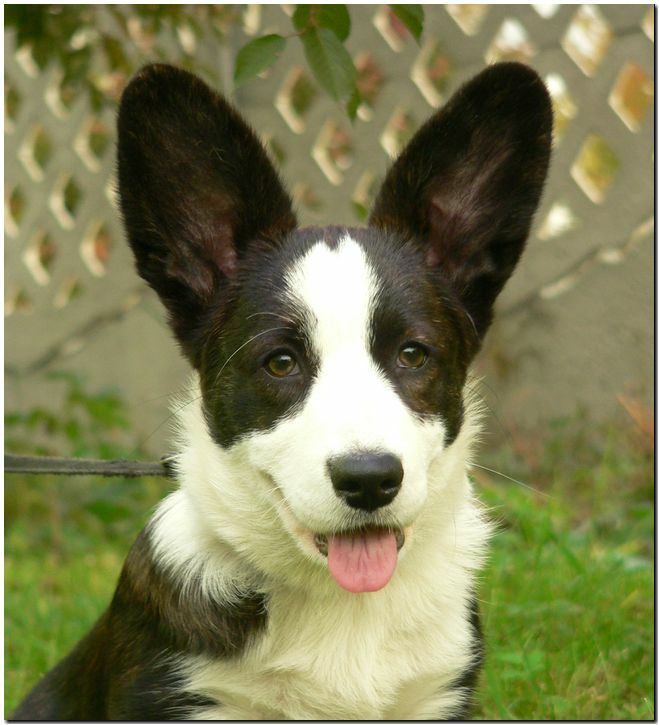 In fact, the super-smart Cardigan Welsh Corgi is very trainable in general. They can be aloof with strangers and sometimes act aggressively toward other dogs if they perceive them as a threat to the family, so socializing puppies early and often is vital. Cardigan Welsh Corgis are excellent watchdogs and will bark at strangers.In fact, they can be quite chatty, and some tend to bark a lot in general. Dont let the short legs fool you these dogs love to move. Whether theyre running, walking, chasing a ball, or just wiggling, its all good fun to them. 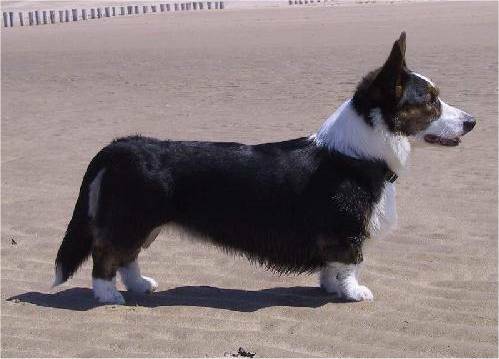 Cardigan Welsh Corgis have a unique body shape, so there are a few things to keep in mind. First, while they love to be mobile, its best not to let them jump off things like furniture or go bounding down stairs. Their backs are a bit fragile, and that kind of motion is hard on them. Their enthusiasm might get the upper hand on their good judgment, so its best for you to step in and keep them safe. Second, for the same reason, pick up your Cardigan Welsh Corgi by placing a hand behind the front legs and use your other hand to support their hindquarters. Their backs arent built to be carried like any other dog and youll probably be picking up your dog quite a bit for hugs since they are very affectionate animals. Corgis can live happily ever after in almost any housing situation, including apartments. They need a fair amount of exercise. Brisk daily walks and romps through a yard are great fun for them, and they will chase a ball around as fast as their little legs will carry them which turns out to be pretty fast, actually. They only need to be brushed once a week, so their coat is easy to care for. Those curious ears will droop down when they are puppies, but in most cases, they will spring to life on their own. Every once in awhile, a little temporary taping is needed to provide some extra support until their ears can stand on their own. Most herding dogs are trained to keep the herd animals in. 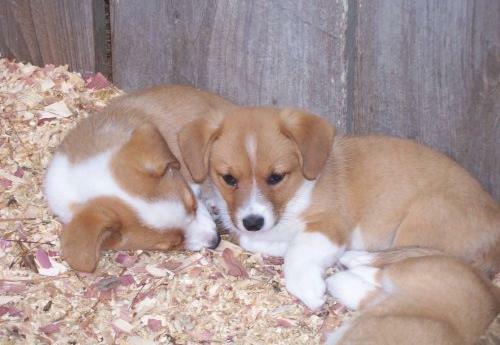 Cardigan Welsh Corgis were bred to drive herd animals out! Way back in 1200 BC, in the area known as Cardiganshire, Wales, Welsh farmers had an interesting way of deciding how much land they owned. Basically, if their cattle was grazing on it, then bam. It was theirs. 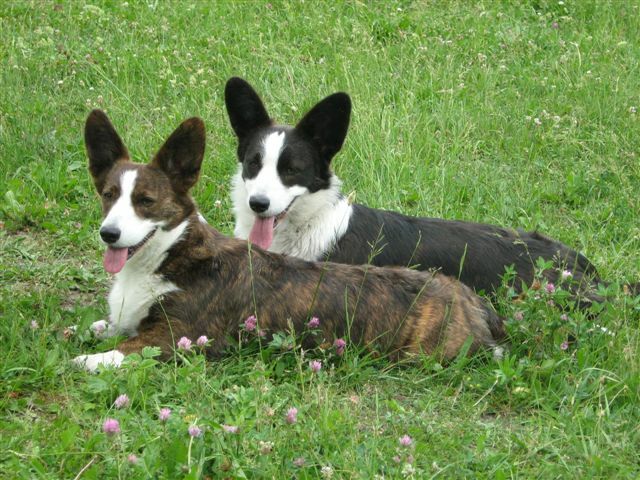 The Cardigan Welsh Corgi, a breed that was described as having near-human levels of intelligence, was trained to be an anti-herder. They would run after cattle, nip at their heels, and bark like crazy, driving the now thoroughly confused cattle far and wide. 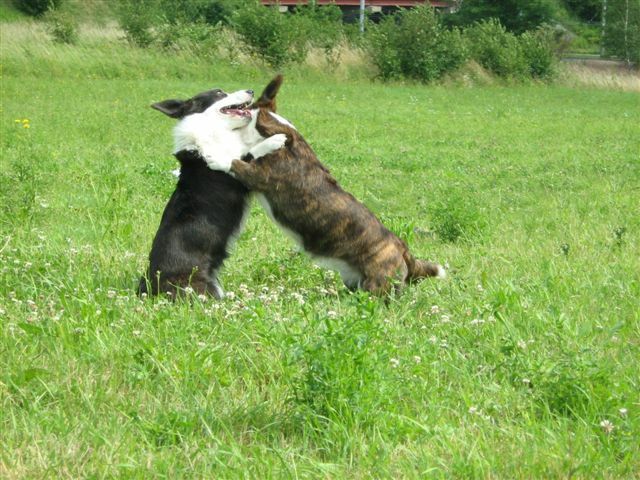 Then, the Cardigan Welsh Corgi could wag their little tail while the farmer looked about and said, Well, its mine now! The dogs were also companions, vermin-exterminators, and loyal watchdogs. Later on, the rules for how land was divvied up eventually changed, and Cardigan Welsh Corgis faced a serious unemployment problem. Eventually, they made their way to the United States and were recognized by the AKC in 1935, where they found new jobs as lovable house pets.